The Original Patented QEnergySpa, BEFE. - Q the Experience, Future Life Science. 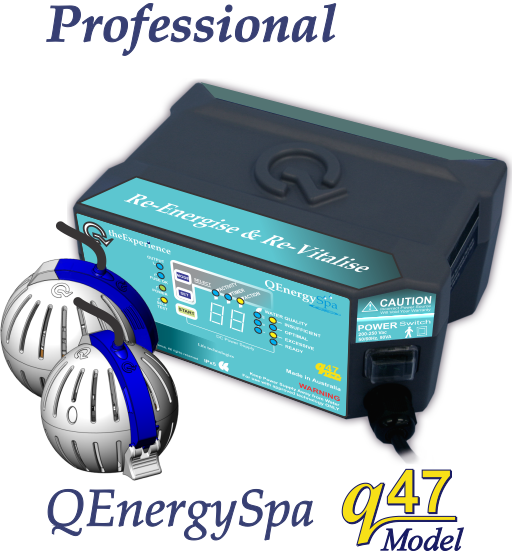 The Original Patented QEnergySpa, BEFE. Bio-Electric Field Enhancement, BEFE Technology. Empower your body to heal and feel great. 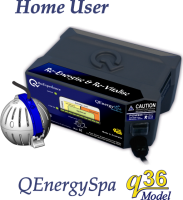 Manufactured in Australia, the patented QEnergySpa, BEFE is unlike any technology available on the market today, owing not only to the science it is based upon (Quantum Reality Field Science, QRFS) but also to the highly specific design details of the Orb (water module) and the manufacturer specified electronically matched circuitry components within the three available power supplies. The patented QEnergySpa, BEFE is the ultimate revolution in natural bio-energy re-vitalisation for your body, capable of assisting the human body to function at its full capacity and provide you with more energy to effectively cope with today’s stresses. With higher energy levels your body is capable of significantly reducing recovery time and allows you to better control and manage aches and pains. A growing number of natural and main stream health care consultants throughout the world including Kinesiologists, Chiropractors, and Naturopaths are now using the QEnergySpa, BEFE in their practice to assist their clients with amazing results. Using the patented QEnergySpa, BEFE is simple and you do not need to be a professional to operate the device. In fact providing that you have a container or bathtub of some description, almost any one can use the unit; be it for use in your own home or in a professional clinic. This method does not involve any medications and it is safe and non-invasive, it can even be used by children and pets. The QEnergySpa, BEFE is based on the principle that all living matter contains a “bio-charge” or bio-energy. This energy is what enables all the systems of the body to operate. The efficiency of operation of these systems within our bodies is determined by the energy level of our body. When the body has a high energy level, all the body s systems will operate efficiently as a collective whole, allowing the body to regenerate at its peak. 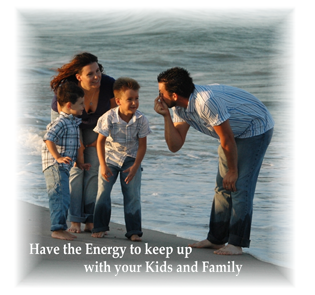 However, much like a battery, our energy levels do not stay at a fixed level. The lifestyles we lead and the toxins we breathe and ingest means that many of us are depleting our body’s natural resources, increasing the likelihood of falling prey to various exposures. The QEnergySpa, BEFE was created to re-balance and amplify the bio-electric signature of your body and is the only available Bio-Energy device capable of creating the necessary complex field interactions within the water. With continued use, the QEnergySpa, BEFE increases the amount of available bio-energy that your body can hold. This amount of energy reserve will gradually increase with each cycle of sessions. To use the QEnergySpa, BEFE, simply submerge the Orb in a container of water, connect the electrically safe, extra low voltage power supply and place the selected body part into the water. Turn the QEnergySpa, BEFE on for a maximum of 35 minutes, every second day for the first cycle of 14 sessions, followed by a short rest period of 21 days. Repeat this process for 9 cycles for maximum benefit. Thousands of people around the world testify to the QEnergySpa, BEFE’s numerous benefits and research conclusively back up their claims. As the water becomes ‘one’ with us, it takes on our unique energetic resonance signature as a template. This incredible phenomena is due to the Quantum Field created by the specific design of the water module and is exclusive to the QEnergySpa, BEFE. Water makes up the largest portion of the human body mass and it is the primary constituent of all life. Water serves as the soup in which all biochemical processes occur and it is the most common element on this planet. Even if you live a healthy lifestyle or have chosen other therapies available on the market today, this system will still benefit you. Just about everyone will benefit from the extra energy boost the QEnergySpa, BEFE can provide. Even the healthiest and active sports person may still get that little extra stamina and endurance and as a bonus; a speedy recovery. the QEnergySpa, BEFE – Now, that is …. Energy for life.